Anyway. This one is photographed in Darwin Botanical Gardens, but it could have been anywhere. 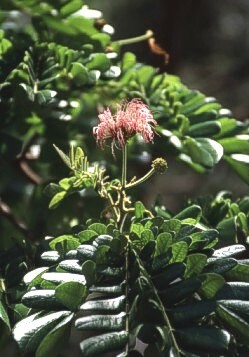 The shrub is native in South America, but introduced to many tropical and sub-tropical places in the world. It can have many more flowers than just the one shown here.